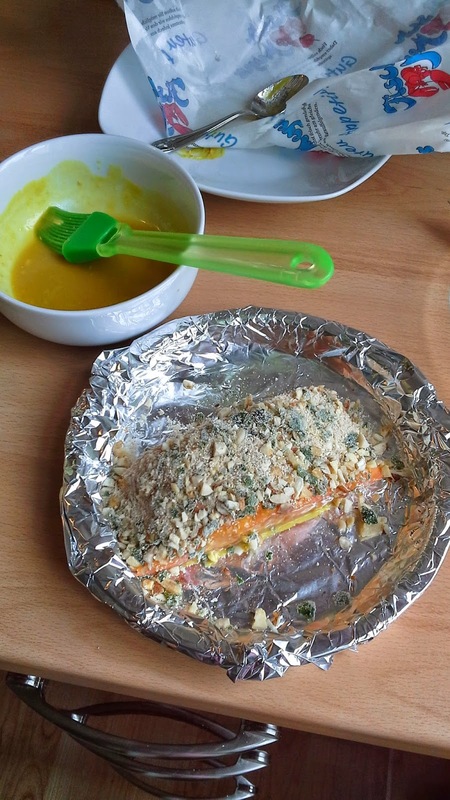 A wonderful way to bake fresh salmon. Preheat oven to 200 degrees Celcius. 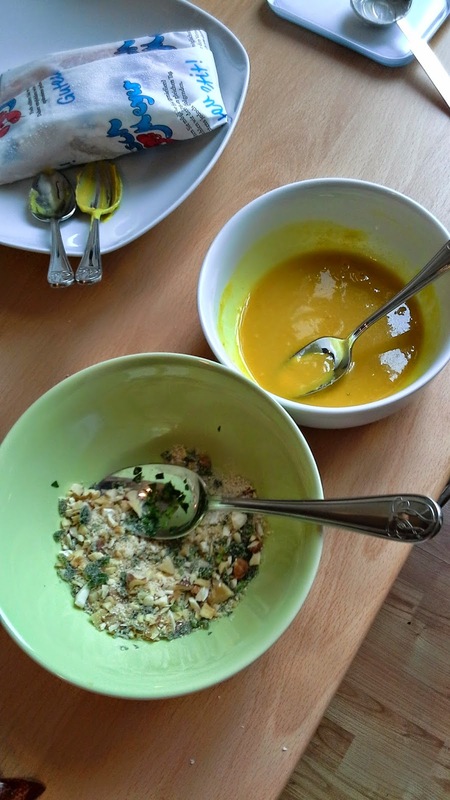 In a small bowl, stir together melted butter, mustard, and honey. Set aside. In another bowl, mix together bread crumbs, pecans, and parsley. 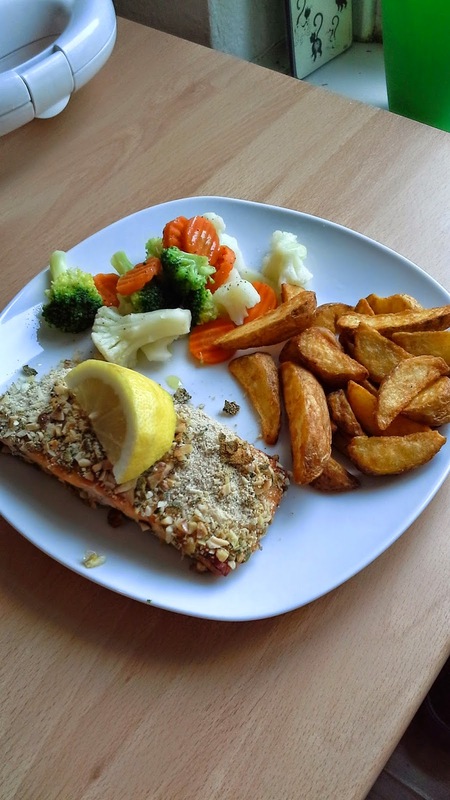 Brush each salmon fillet lightly with honey mustard mixture, and sprinkle the tops of the fillets (skin side down) with the bread crumb mixture. 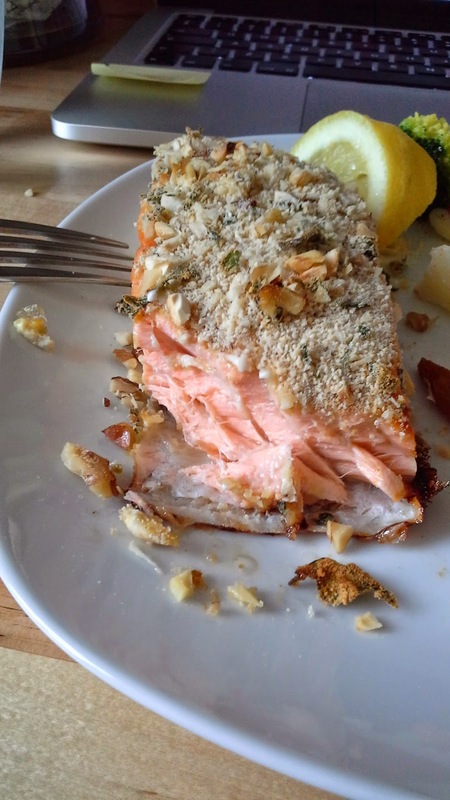 Bake salmon 12 to 15 minutes in the preheated oven, or until it flakes easily with a fork. Season with salt and pepper, and garnish with a wedge of lemon.